Performance upgrades from hardware manufacturers are always welcome, but in the vast majority of cases even tiny upgrades come in a form of new products rather than in a form of software or firmware updates. 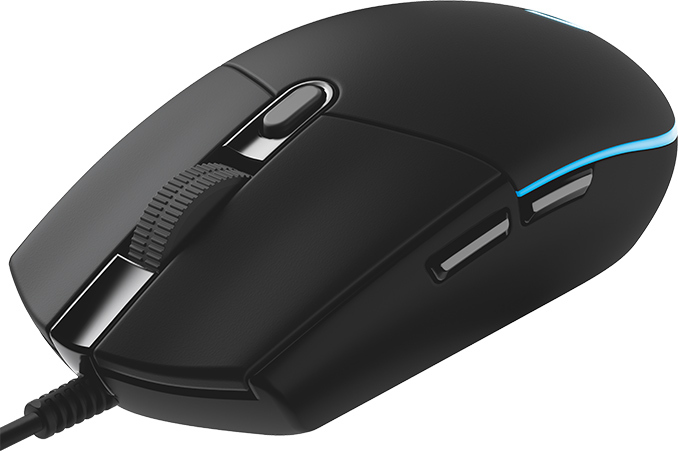 Logitech has decided to do something that rarely happens these days: the company issued a firmware update that improves the precision and some other performance aspects of the entry-level G203 Prodigy gaming mouse, which was launched earlier this year. Among other things, the upgrade helps to position the G203 above the G102 launched in 2016. One of the key features of the Logitech G203 Prodigy is its simplistic shape, which, as Logitech puts it, brings “ergonomics back to basics” without sacrificing usability. The mouse uses one of the company’s in-house-customized sensors with on-the-fly adjustable resolution (which was originally set at 200-6000 DPI) along with an ARM processing core that supports USB report rate of 1000 Hz (appropriate software is required for relevant operating systems). Buttons on the Logitech G203 Prodigy can be completely reprogrammed using Logitech’s software and then used on different PCs since button configuration is stored inside the mouse. As a courtesy to the recent market trends, Logitech engineers even installed a programmable RGB LED into the G logotype on the mouse. 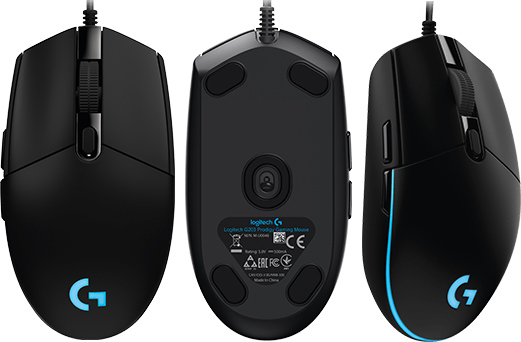 With the new firmware update, Logitech has increased the maximum resolution of the G203 Prodigy’s sensor from 6000 DPI to 8000 DPI (or by 33%). In addition, the company increases the maximum speed and acceleration of the mouse from 200 IPS to 300 IPS and from 25G to 35G respectively. A legitimate question about the upgrade would be about the reasons why Logitech did not enable improved performance of the G203 at launch. The company says that it figured out how to tweak sensors and processors for maximum performance while developing one of its latest products, but does not elaborate. Perhaps, we are dealing with some sort of overclocking, or maybe Logitech is just unlocking some of the hardware capabilities, but since Logitech does not detail hardware inside its mice, we cannot be 100% sure about either of the options. With this upgrade, Logitech not only improves its existing product, but actually differentiates it from its own Logitech G102 launched in 2016, which offers the same level of performance as the original G203. To get the firmware upgrade, owners of the Logitech G203 Prodigy have to install the latest Logitech Gaming Software version 8.96.81. The Logitech G203 Prodigy costs $39.99 in the U.S. €44.99 in the E.U. For MSPRs like these, performance of the G203 Prodigy looked quite impressive and the company is actually upgrading the product with a new firmware, making it better for existing customers and improving its competitive positions against rivals. None of the more mainstream sites test mice to that level of depths. If you go over to the overclock.net mice subforums though you'll see users doing more detailed testing for mice. I'm using this mouse. I mainly care about ergonmoics. Had 3 wonderful Sensei Raw mice that were the most comfortable ever, but they all broke, and the finish was prone to looking aweful after mild use. Thats almost what I did. Xai -> Sensei -> Kinzu-> Sensei Raw -> G203. Absolutely love the durability and buttons of the g203. Sensei 310 seems like a really good choice, but, I've had enough of Steelseries durability issues.